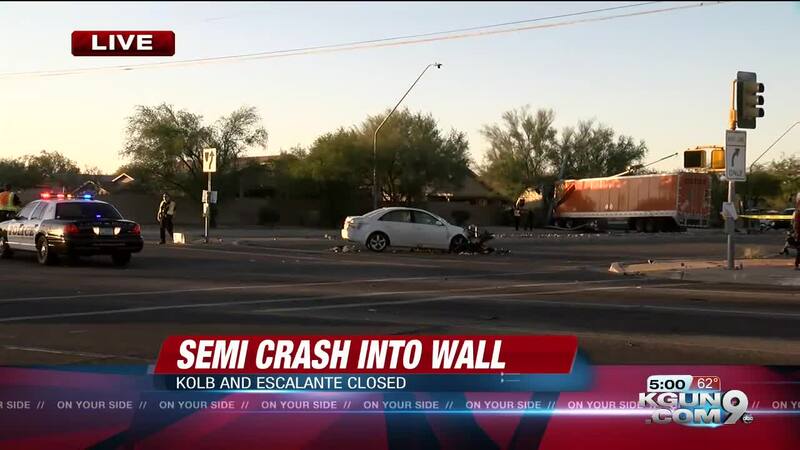 A crash involving a semi-truck and other vehicles has shut down the intersection of Kolb and Escalante. Officer Smith with TPD says the semi-truck went over a median and sideswiped multiple vehicles. TPD says emergency vehicles are at the scene. No injuries have been reported at this time. KGUN 9 has a crew on the way to the scene and will have more information as it becomes available.